It’s the unfortunate truth that can hinder a relationship from blossoming to its potential. In a vendor relationship, we’re only as strong as the open dialogue that we create to understand each other’s goals and challenges. When we work in a vacuum, it can create confusion or lead us down the path that’s filled with maybes and what ifs. When navigating our partnership with a client, CPG lets three “C” words be our guide to a successful relationship. Without two-way communication, we’re just throwing spaghetti at the wall and seeing what sticks. We start each relationship with an in-depth discovery to learn more about the client’s specific needs. What are the paint points? What are the goals? What’s on the wish list? Aim high because the more we know, the better equipped we are to create the perfect solution to solve the problem. And if a client is concerned about confidentiality, we are always happy to sign an NDA. There’s no risk in spilling the beans – but there’s a big risk if we don’t have a clear picture of how to help. The client is going to be involved in this solution. Often a client’s team member or a small committee will be the torch carriers or ambassadors for the corporate engagement solution and will be a direct contact for CPG. We need input from your entire team – ideally a cross section of the internal audience who this will affect. There is often a sweet spot or overlap between what you want to say and what they want to hear that will solve the issue. By sharing ideas and being available for feedback, this collaboration will strengthen the trust in the vendor partnership and inject the brand’s DNA into the project. This is how you (as a client) help us help you. This is a significant investment into the client’s time, budget, culture and overall brand experience – it deserves a full commitment from their team and ours. The willingness of a client to provide insight and guidance will naturally enhance the communication and collaboration side as well. Time and availability will be critical throughout this process, but two-way commitment is necessary to achieve a solution that will inspire action and create brand advocates out of your people. 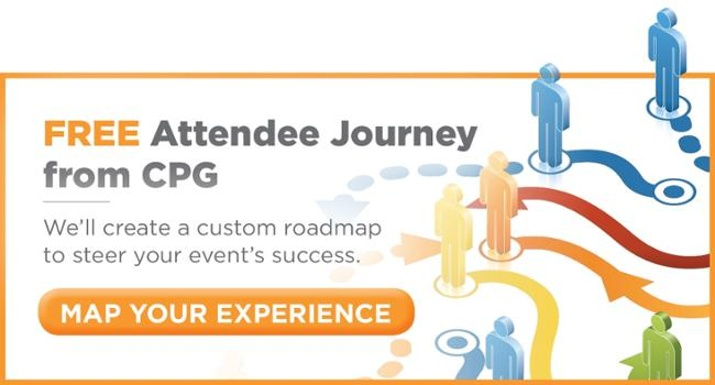 With any experience, CPG promises much more than just best practices or event trends for your meeting or communications strategy – we want to create a unique scenario that targets your specific needs. For example, in Retail Engagement, the need may be to drive more traffic to the store, but CPG will also consider the consumer experience once they’re in the store – how do we make that engagement more compelling? When you enter a vendor partnership with CPG, you can expect our full attention and a team of creatives ready to deliver an engaging, immersive experience every time. Let’s partner on your next big event or communications strategy.